At the rias West coast of Chungcheongnam-do, there are many Ttangkkeut Village located at the tail of the land toward the sea. Maryangri is a harbor that extends from Biin-myeon to Seo-myeon, Seocheong-gun. 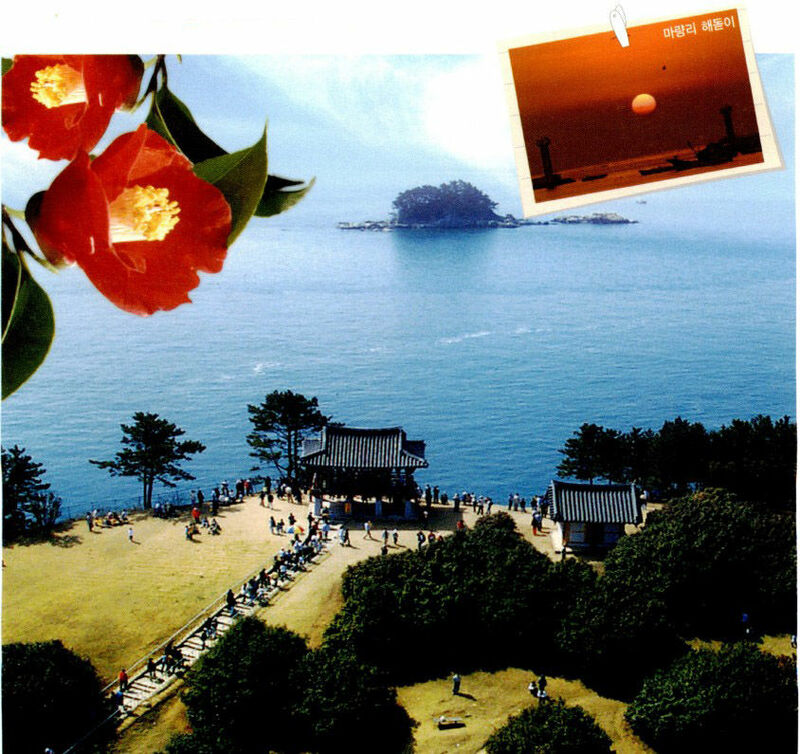 It's a place that you will be able to enjoy a beautiful view of both sunrise and sunset as Dangjin Waemok village. This mystery of nature has impressed and entertained people a lot. In every January by lunar calendar, people gather to offer sacrifice to heaven and pray for the success for fishing. In March and April when Camellia flowers are in blossom, Dongbaek Webfoot octopus Festival is held and attracts many people. Sinseongri Reed Field is one of top 4 reed fields. 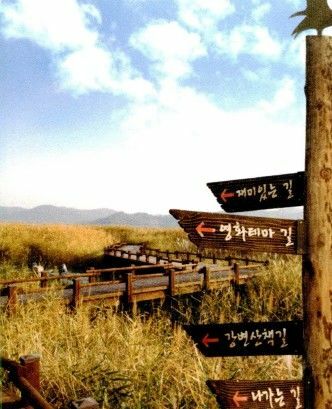 It's widely spread out along Geumgang riverside with 200m-wide, 1km-long and it covers over 194,400㎢ area.It has become more famous for the film sites of 'Joint Security Area(JSA)' and 'North Korean Guys'. National Ecology Institute(NEI) includes a main building of NEI, ecosystem education and restoration exhibitions. The study of ecosystem affect by global warming, investigation of natural ecosystems, study of ecosystem restoration have been done. It's the core organization of ecological research and education used as an alive space of ecological education. It consists of Ecorium exhibition center that has exhibitions of ecological experience, and Korean peninsula's ecological systems including forests, marsh lands and mountain ranges. Most of beaches on the west coast consist of sandy beaches and pine groves, but Chunjangdae beach is surrounded by rich acacia forests and Big Cone Pines. It features a sand beaches with mud flats. Chunjangdae beach is selected for one of the national top 10 beaches by Korea Maritime Institute. Geumgang river barrier lies from Maseo-myeon, Seocheon-gun to Seongsan-myeon, Gunsan-si, Jeollabuk-do. The river barrier plays the role as the bridge between Chungcheongnam-do and Jeollabuk-do impounding 130 million of water. 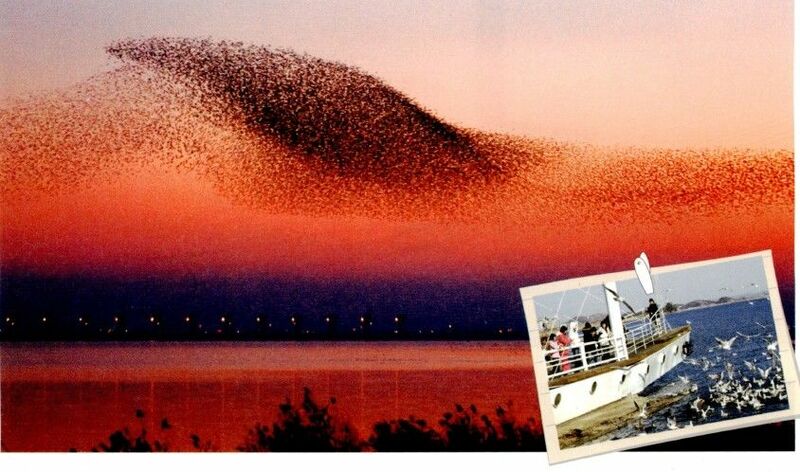 This place is highly favored with a habitat for migratory birds harmony with reed fields. It was shown that swans, mallards, rare birds-oystercatchers, and Saunder's gull- inhabit here. It is attracting extreme interest. Hansan ramie fabric museum was launched to pass down the precious Hansan ramie fabric to next generations and promote traditional culture. The process of making ramie fabric and 300 relics are on display. Recently, it was selected for the promising festival by Ministry of Culture, Sports and Tourism. There are a wide range of experience programs and cultural events including ramie fabric fashion show, mosi-gilssam (ramie fabric weaving) contest, and experience of dyeing ramie fabric for visitors, etc. 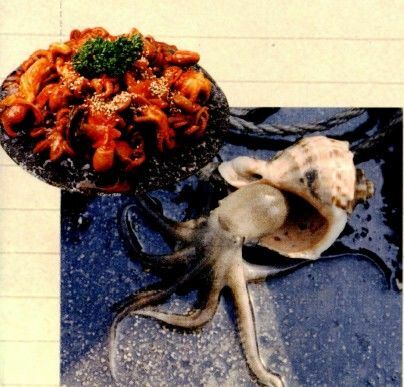 Between the end of March and the early of April, Webfoot Octopus Cooking Festival is held with webfoot octopuses from the coastal waters of Maryangri. These webfoot octopuses are very fresh and taste good, because alive ones are caught by 'Sorabang'(binding top shells). 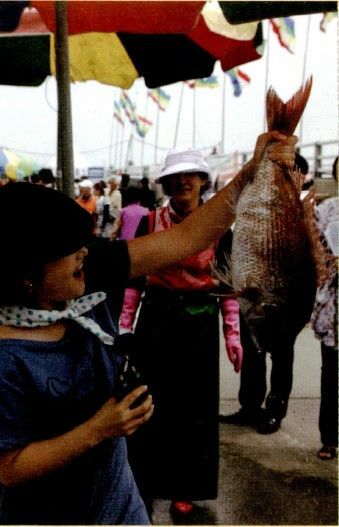 Natural Flatfish and Sea Bream Festival is held at Ilwon, Maryangpo-gu, Seocheon-gun in May. At the festival, various events are provided. One of them is 'Flatfish fishing with bare hands' that you could capture and cook live fishes in the outdoor space. You could buy seafood like flatfishes, sea breams, and cuttlefishes at a low price.